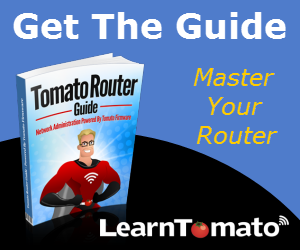 In this section, you’ll learn how to setup a dual band router with Tomato firmware. A dual band router creates a separate wireless access point for each frequency band (2.4GHz and 5GHz). If you have a single-band router (2.4GHz only), you will have only one access point to configure. What’s so great about a dual band router? A dual band router has some advantages. It not only improves network performance, but it can also be used to increase your WiFi range. The 2.4GHz frequency offers more range. But the 5GHz frequency offers more throughput, which results in much better performance. So, you can select ‘Access point’ mode for both frequency bands. Or, you can extend your wireless range by adding a second router and using the 5GHz band as a wireless bridge. It also gives you a few more options when setting up a guest network. 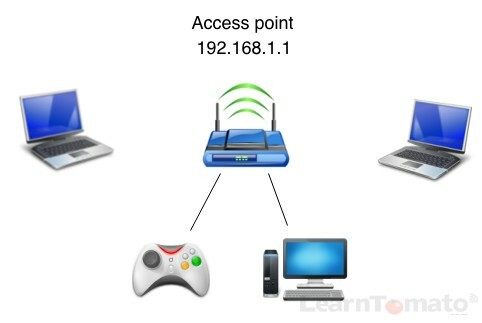 A “Wireless Access Point” is simply a point of access for wireless clients. In “access point” mode, all clients connect to the same subnet (192.168.1.x) etc. Client devices must be assigned a private IP address (whether dynamic or static) and since there is only one router, this router has DHCP enabled. Let’s begin with the wireless properties for the 2.4GHz band. 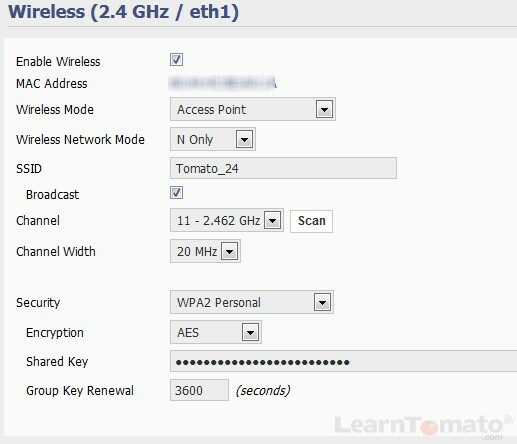 For the 2.4GHz band, set the wireless mode to ‘Access Point’ and give this Access Point an SSID. SSID stands for Service Set Identifier. An SSID is basically just the public name of your WiFi broadcast. Select a channel (preferably channel 1, 6, or 11 if you are located in the United States) or just choose ‘Auto’ for now. Set the channel width to 20MHz. 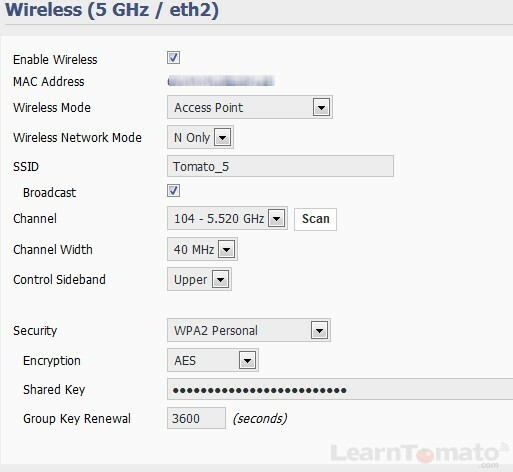 For security, I recommend using ‘WPA2 Personal’ with AES encryption (although you may need to use TKIP if you have older wireless clients, or experience difficulty connecting. Enter a shared key. Remember, the longer your password, the better. Generally 16-24 characters would be ideal. Now, let’s configure the 5GHz band. Just be sure to give your 5GHz band a different SSID. With 5GHz, you can set the channel width to 40MHz to maximize throughput. The reason we don’t normally do this for the 2.4 band is due to crowded air space. But since the 5GHz band is less likely to be congested, you should experience the best performance using a 40MHz channel width.